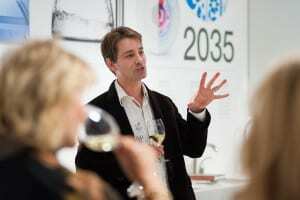 Earlier this spring, Neil Kelly sponsored a pair of wine tasting events that thrilled guests and showcased some of the latest innovations in kitchen design. In March, the “Kitchens For Cooks and Entertainers” event, hosted by BASCO, featured gourmet delights and wine selections prepared by guest chef Jessica Hansen of The Kitchen at Middleground Farms, a hobby farm and cooking school located in Wilsonville, Oregon. 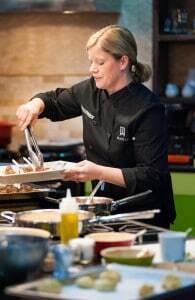 Hansen’s background as a developer of the culinary program at Sur La Table, coupled with her expertise with SubZero and Wolf appliances, inspired attendees in the process of outfitting their own kitchens. Neil Kelly designers Fabian Genovesi and Heidi Hawk teamed up with Hansen to show how kitchen spaces can be optimized for cooking enthusiasts. 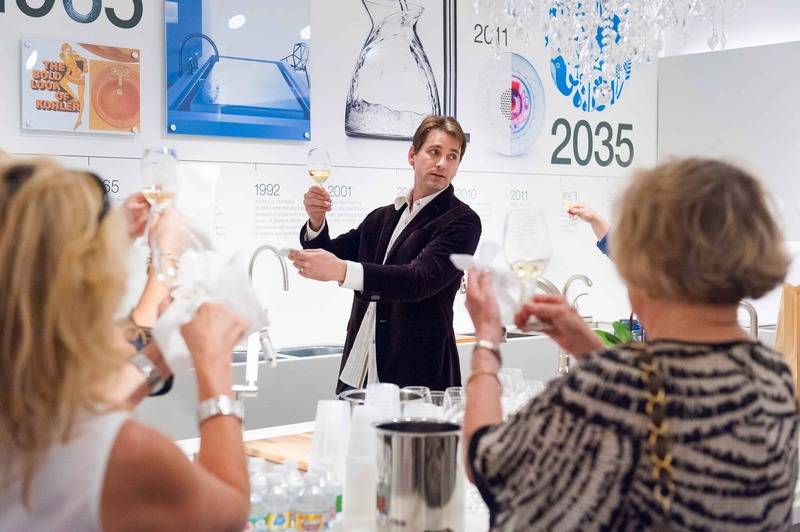 In April, “An Evening of Wine and Design,” hosted by the Kohler Signature Store, featured a series of wine tasting seminars prepared by wine connoisseur, blogger, and television personality Brian von Dedenroth. Guests at this First Thursday event were treated to a sophisticated grouping of wines selected by von Dedenroth, along with valuable expertise that included a primer on tasting itself, a guide to wine pricing, and tips on choosing wines from lesser known regions. Both events were designed to inform and encourage, and attendees drawn to entertaining learned how they could adapt spaces to their own unique lifestyle. “We were delighted to meet all who attended,” Hawk said.